we consult, design and develop. Put aside your worries and let our project managers accompany you with true skills and lots of passion for digital reporting – from creative concept to go-live. We consult, we design, we develop. And we always go the extra mile for our clients. stand out with your report. 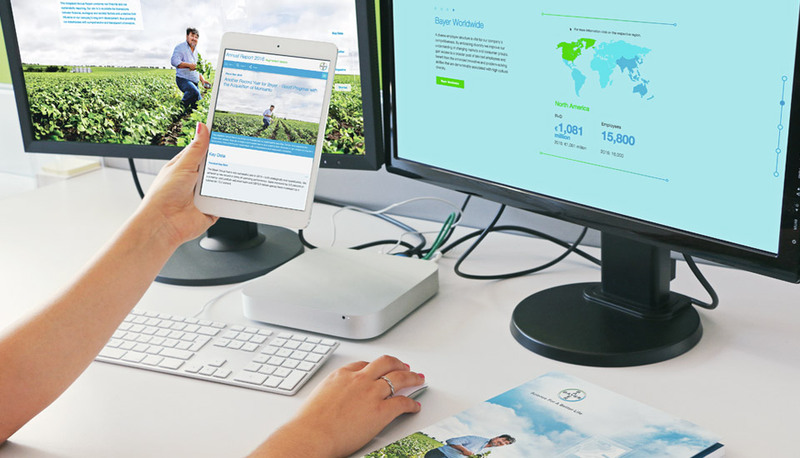 We believe that just like any other content, corporate reports deserve to be presented in an aesthetic way. 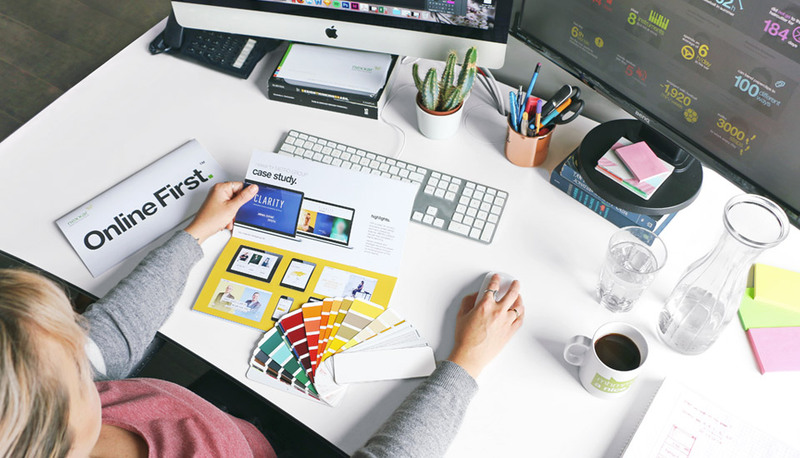 Based on your corporate identity, we create a media-specific design concept for your report that follows visual trends, delivers a great experience to users and readers and considers accessibility standards. rely on innovation and performance. Online reports are more than just another publication format. They offer a myriad of new opportunities for corporate reporting. We make use of that. We develop our reports in-house, foster innovation by creating additional features and ensure that we retain our status as technological leaders in digital reporting by continuous R&D efforts. 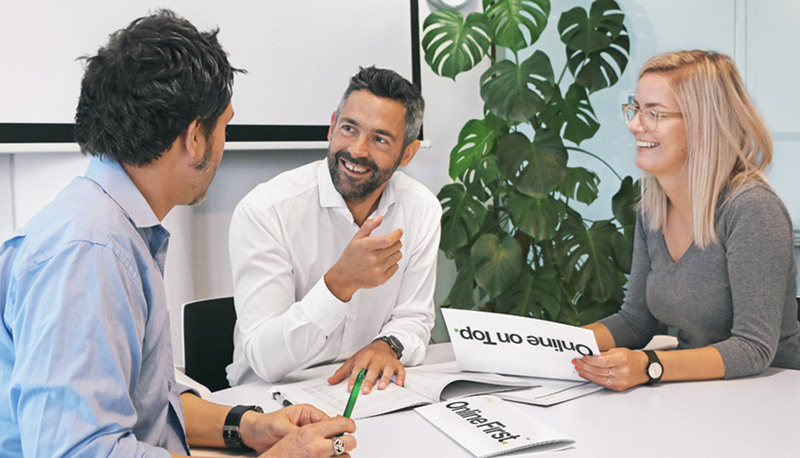 More than 15 years of experience in corporate reporting make us experts in creating a suitable concept for your annual and sustainability report. We provide a consulting role to help adapt your corporate messages to a digital audience. Our multidisciplinary team enables you to embrace the future of reporting. choose your approach, it’s simple. We take care of your annual and sustainability report, from creative concept to publication. However, you decide which way to go: Either we design and build your digital report based on the print version (eg. 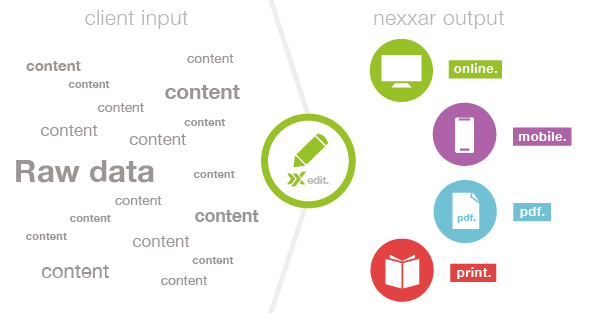 InDesign, Word) – within 72 hours from data delivery – or you choose to go for Online First™, which allows us to create several formats out of one source: our content management system (CMS) nxr.edit. Online report based on print version. Multi-channel publishing system that fits all needs. 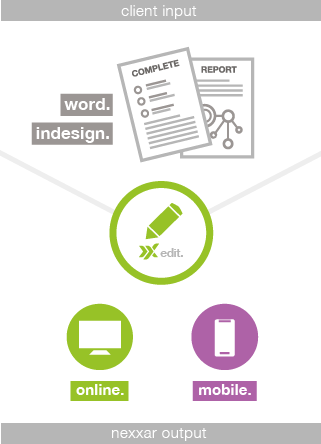 we turn your content into a great report. 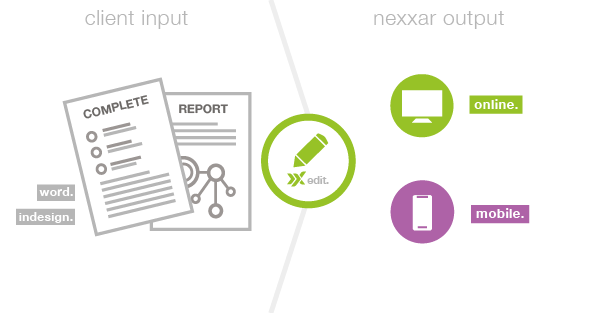 Everything we do, we do for the purpose of creating outstanding reports. Whether this concerns the design concept, user experience, the functionality of the report, additional features or personalised solutions – the range of services we provide within our report projects are diverse. for a better user experience. It’s not common knowledge that user experience is not limited to the digital world. The navigation through an airport or hospital should be just as easy as the navigation in a well-designed app – or a corporate report. more than just an infographic. Every report has its own character. That’s why we develop interactive visualisations customised to every topic and company. Elements, such as interactive infographics can be tailored to the content and spice up long text blocks. More and more companies take advantage of the potential of moving images and address key issues and questions in CEO videos. It is not surprising that these are also increasingly used in digital reports. spice up your report communication. Report communication does not end with publication. One way to raise awareness for your report, attract the attention of your stakeholders and communicate your company’s key figures are animated GIFs. Why not make use of all available communication channels? Plain data and numbers are more comprehensible when you are encouraged to interact with the information. With the help of our chart generator, users can individually select key figures and create their own charts. Statistics repeatedly confirm the steady increase of mobile internet usage, which is also valid for corporate reports. Which mobile devices are used? It really doesn’t matter, if you consider all of them. For a responsive online report, we build layouts that are suitable for all screen sizes and devices. We really appreciate the hands-on mentality and friendliness of nexxar. It is always a pleasure to work with them. In terms of online reporting, we not only want to be among the best, but also aim to set new standards. With nexxar, we have found a partner who identifies trends and stands for innovation. nexxar stands out with state-of-the-art concepts and highly professional project management year after year. Year after year our clients place their trust in us. It makes us happy and even more proud that the work we put in the creation of reports together bears fruit and various reports have received awards. It shows just how much we love what we do.